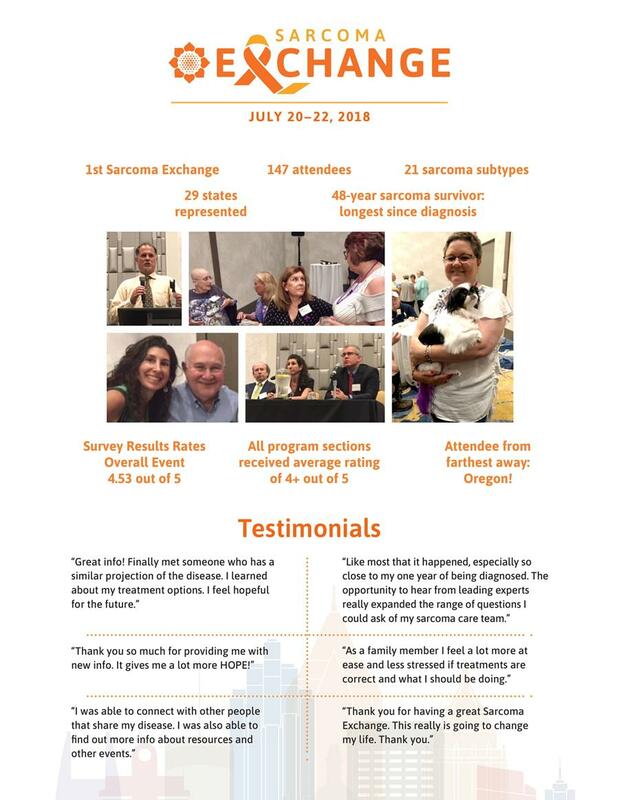 During Sarcoma Awareness month in July we hosted a new program called the Sarcoma Exchange in Atlanta, Georgia. The idea was for patients, survivors, caregivers, family members, patient advocates, and medical specialists to exchange information on current therapies and support, and to develop relationships with others in the sarcoma community. Download Sarcoma Exchange presentations here or visit the blog for more information. 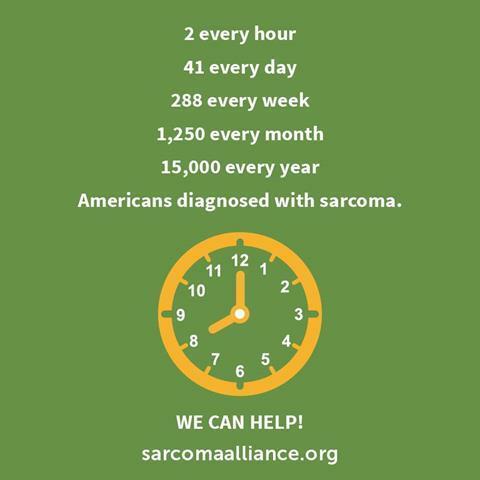 Support Future Sarcoma Alliance Programs and Make a Gift! Twice-daily posts on sarcoma related news and information. This month we'll be sharing several facts to raise awareness!